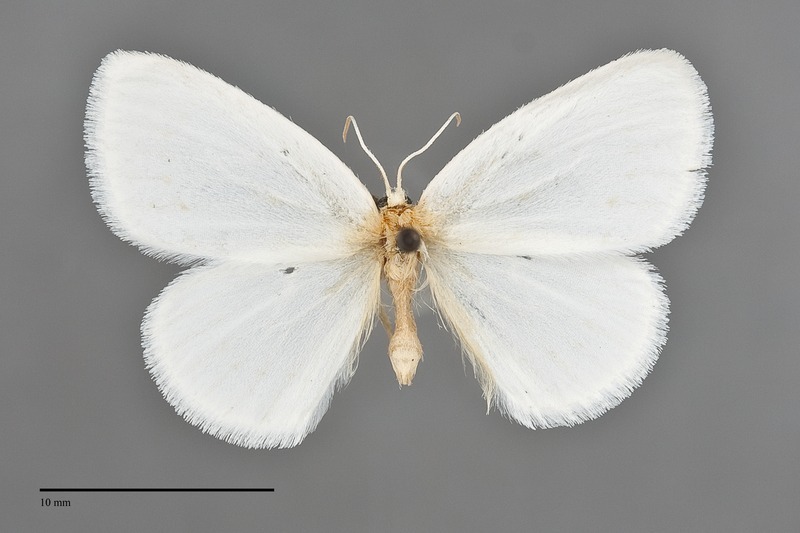 Eudeilinia herminiata is a small moth (FW length 12–13mm) with rounded pure white wings, occasionally with lines of faint dots, that has been collected rarely in British Columbia during the spring and summer. The palpi and legs are dark gray. The wing markings are limited to interrupted orange-yellow to brown antemedial and postmedial lines when present. Gary Anweiler (personal communication 2012) reports that all Alberta specimens that he has examined are immaculate, but specimens with faint lines have been collected in our region. The dorsal head and thorax are white—the body and adjacent wings of the illustrated specimen from Edmonton, Alberta are discolored. The male antenna is filiform. 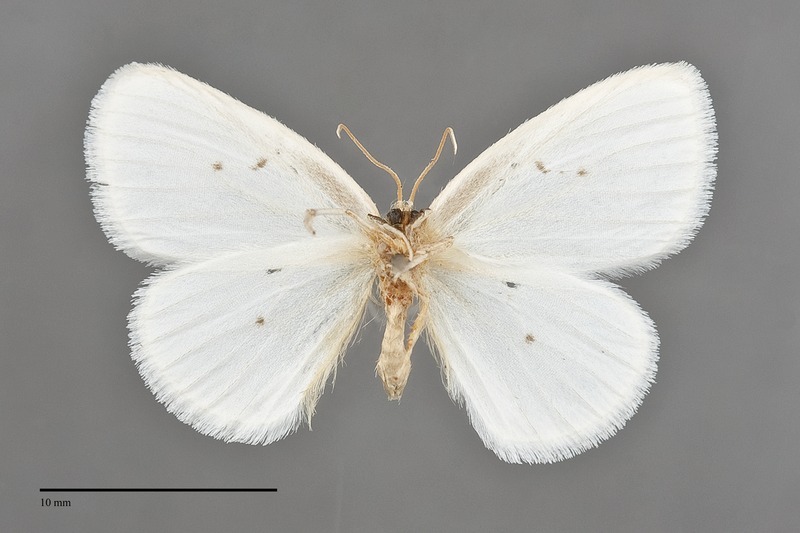 This species is most likely to be confused with several white species of inchworm moths in the family Geometridae. According to Covell (1984) the combination of dark palpi and the illusion that the forewing postmedial line continues onto the hindwing in spread specimens are diagnostic. 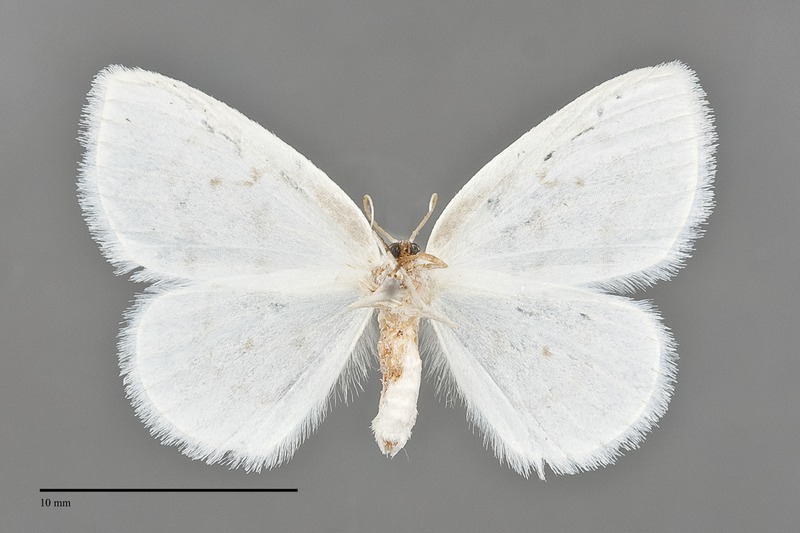 In specimens with all-white wings absence of dark scales on the wings, the presence dark legs, and white head are important for distinguishing this moth from white inchworm moths. The body is stouter than those of most inchworms and the antennae of both sexes are simple. 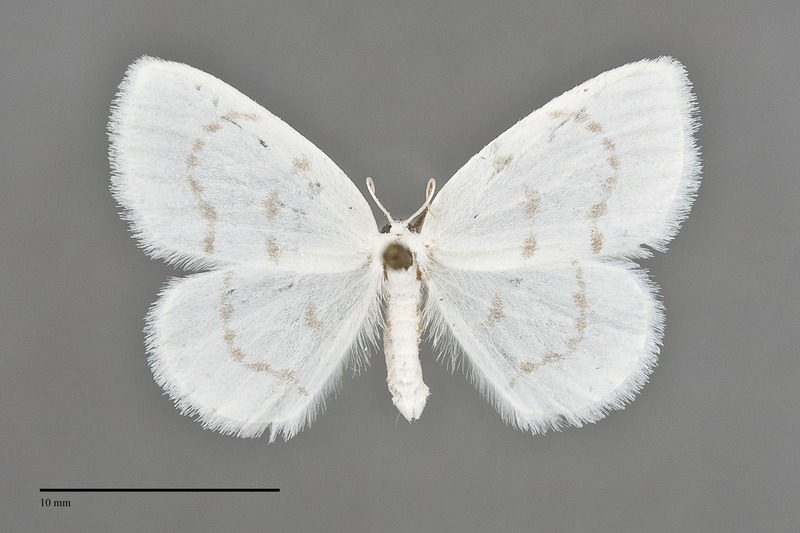 Gary Anweiler reports that the most diagnostic feature to distinguish this moth from females of the inchwork Cabera variolaria which also has a simple antenna is the presence of a white frons in E. herminiata, usually cinnamon-colored in C. variolaria. This species is found in moist boreal forests with dogwoods (Cornus spp.). Dave Holden (personal communication 2015) found this species in riparian forest with a dense understory of red osier dogwood (Cornus sericea). E. herminiata is known from British Columbia in the Pacific Northwest. It has been collected at Oliver in the southern Okanagan region, along the Coquihalla highway in the Cascade Mountains, and in the Peace River District. Based on these records it is likely to be more widespread in the central and eastern parts of the Province. This is a predominantly eastern North American species. It is widely distributed east of the Mississippi River except in the far north and deep south. The range extends west to the Pacific Northwest across the Canadian Prairie Provinces through eastern and north-central Alberta. This species is a foodplant specialist feeding on dogwoods (Cornus spp.) in the Cornaceae. The adults are found in late spring and early summer. Dave Holden (personal communication 2015) reports that the adults fly over the food plant at dusk. He did not collect any in a light trap placed nearby.